See you in London 26-28 March! We're showing off baggage handling with Basic vacuum lift and FlexiCrane Mobile. Loading and unloading baggage carts and containers with improved ergonomics. 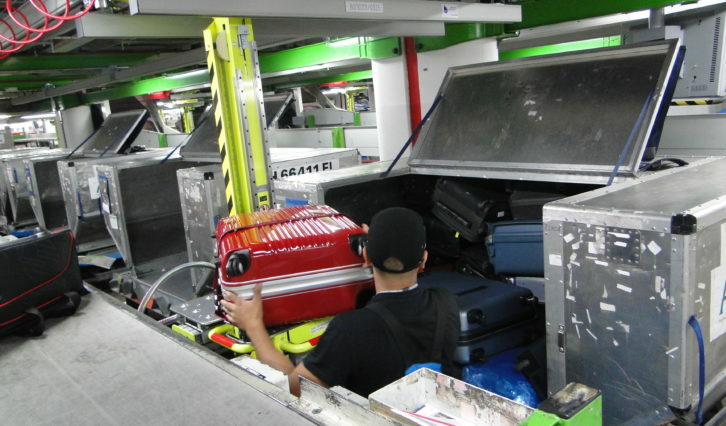 We provide airports with fast and ergonomic baggage handling solutions that help reduce work related injuries and wear-and-tear complications that are common when lifting manually. 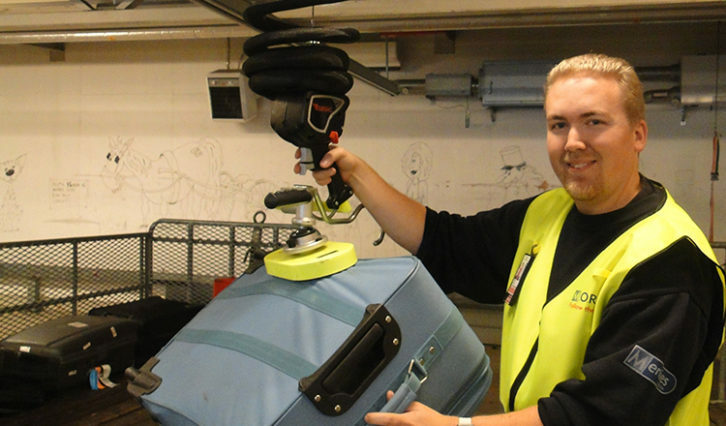 Lifts All Airport Handling Solutions, can improve your baggage handling and help create a sustainable work environment. We increase the speed of baggage handling and optimize the transit time, which also improves the customer satisfaction. Lifts All is located in Stockholm, Sweden and have been providing innovative lifting solutions since 1994. Today we offer over 5000 different lifting solutions to our customers and dealers all over the world. Thanks to our great knowledge and experience of baggage solutions we are able to develop, customize and manufacture products – all under one roof. In addition we also offer installation and service.